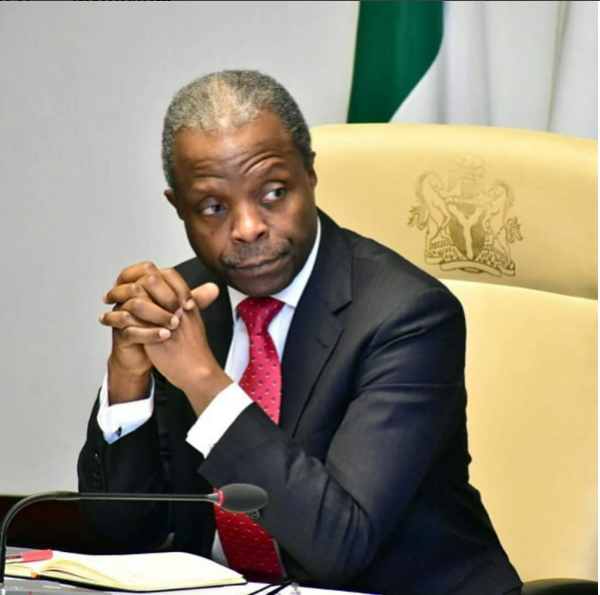 The Vice President Yemi Osinbajo on Thursday met behind closed doors with Inspector General of Police, Idris Abubakar, over the crisis between the Nigeria Army and he Indigenous People of Biafra (IPOB), in Abia State and some parts of Rivers State. Asked to be specific about strategies he was adopting as regards events in the south east, the IGP said all critical stakeholders which include governors were being engaged to find lasting peace. Repeated clashes between Nigerian soldiers and IPOB agitators led by Nnamdi Kanu, forced Governor Okezie Ikpeazu to declare a three-day dusk-to-dawn curfew in the state. The governor said the state will continue to subscribe to the supremacy of the Nigerian Constitution and work with the federal government to forestall seccessionist threats. The governor also noted that the clash is directly linked to the deployment of soldiers across South-East as part of the rejuvenated Operation Python Dance. The IGP described as nonsense, Governor Nyesom Wike of Rivers State allegation that the reported killing of an operative of the Special Anti-Robbery Squad, SARS, during a foiled kidnap operation on Monday at Oroazi area of the state was a confirmation that his men were involved in armed robbery and kidnapping. Asked if he was not denying the allegation he replied, “Of course I have to deny that, that is nonsense. I have to deny that. When reminded that the governor alleged that the dead policeman was one of the three men that were suspected to be members of SARS who were attempting to kidnap someone and he died in the process, the IGP replied, “Who is the person they were attempting to kidnap?